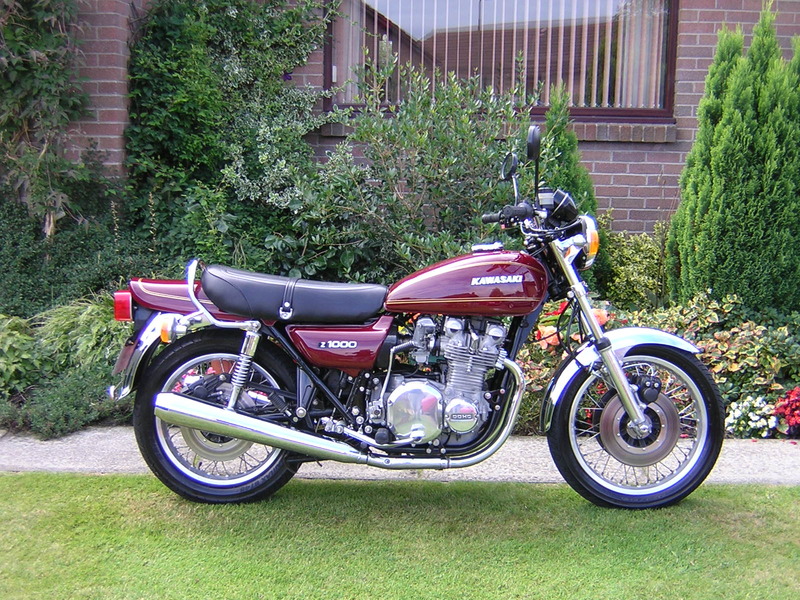 The Kawasaki Z900A4 came in from Oz in the early 90's in a smashed up state and was rebuilt. Owned by Dave for around 12 yrs it"s only done around 5000 miles and Dave likes to think it may have been in Mad max movie hence crash! 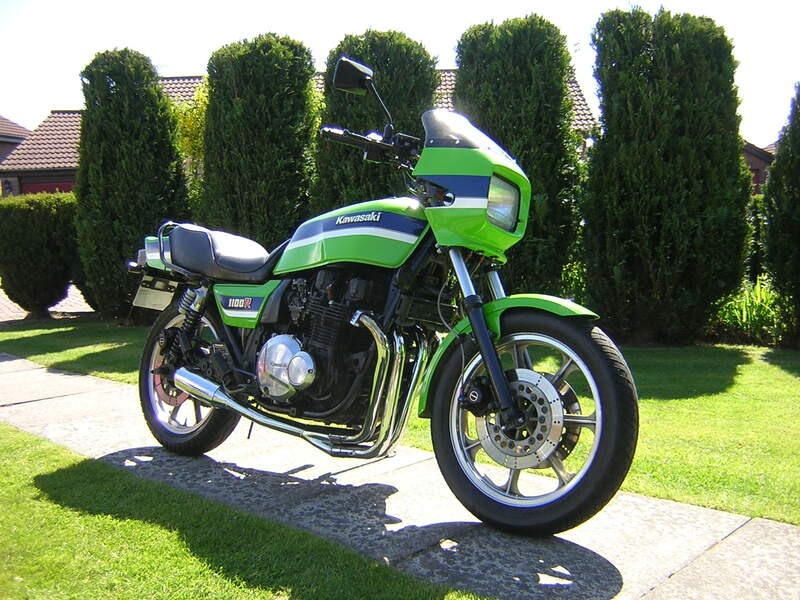 The Kawasaki Z1000A1 is one of those bikes Dave has always wantedto own having had one virtually new as a 20 year old many moons ago and are apparently very difficult to find in original trim. The interesting story here is that Dave missed this bike by about 2 minutes at the Stafford Show in around 1998/99. Regrettably, the last owner didn"t store it very well and what was once a totally restored minter has needed quite a bit of tidying up, and is still "work in progress" though its almost there, just some carb fettling. 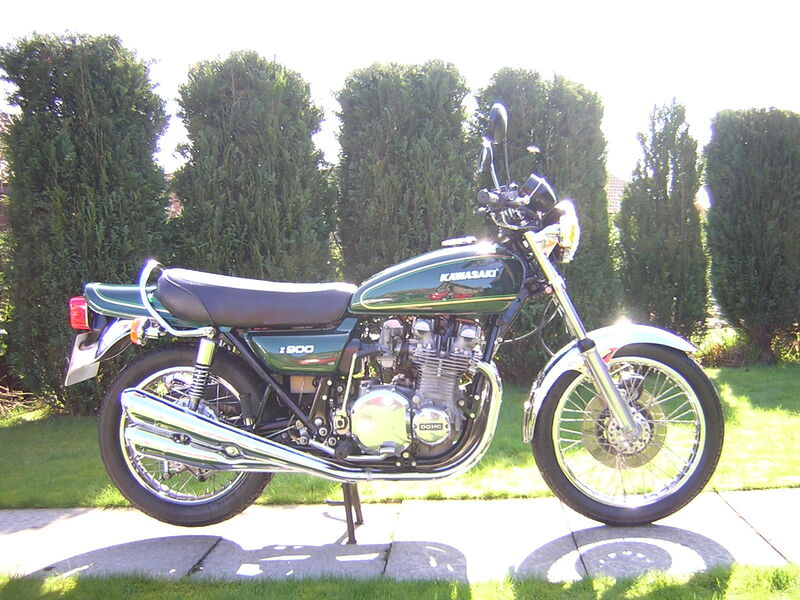 Next up is the Kawasaki Z1100R Eddie Lawson Replica, a well sorted, though unrestored and non original bike. Dave has loads of new parts for that definite/maybe/never rebuild.The first owner when new was a girl, she must have been a strapping lass as its a big heavy beast but so powerful compared to the others! 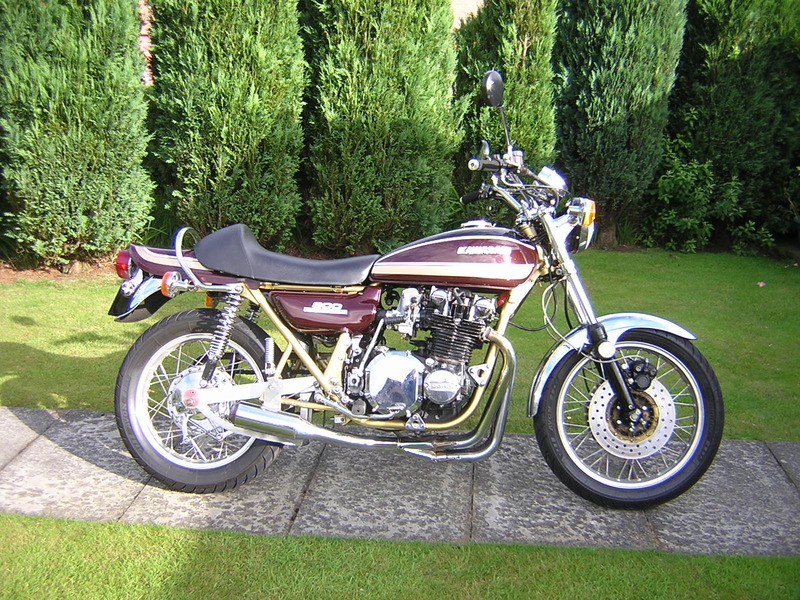 Finally the Kawasaki Z1B, very modified and fiddled with, a real 80's bike. 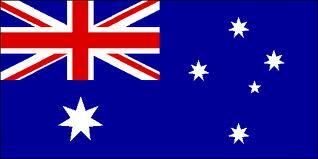 Dave is in touch with its creator, who would love it back.